I went camping with a young woman that I hardly knew named Kristen. We went out for one night in the mountains near my home in the autumn of 2006.. What emerged was a flurry of weirdness. We were out in a beautiful area, sitting in a meadow on a big rock. The sun was setting and it was warm and calm. I was preparing a warm dinner on a small camp stove and we talked while cooking. It was that magic twilight time and the moon was rising. As we ate our conversation reached a point where we were opening up about our spiritual beliefs and insights. As I listened to Kristy there was a moment when I realized that there was something truly impressive about her. She was perceptive in a way that inspired me. At that moment an owl swooped over us, literally just a few feet above our heads. It was so cool and we were both delighted. Then there was another owl, and then a third! All three were circling and swooping silently above us. It lasted for about an hour. During this time we set out our sleeping bags to sleep under the stars. As we lay there looking up at the sky the owls would swoop right above our faces, blotting out the sky for a brief instant. Owls have specialized feathers so they are amazingly quiet, adding to the strange quality of the experience. A little more about Kristy. She is sensitive and very smart, but at that point we actually didn't really know each other very well. We shared a meal on that big flat rock, surrounded by wildflowers and mountains. We talked about deep stuff as we ate. There came a point in our conversation when I felt a really strong and delightful connection to her. It was hugely life affirming. There came a point when I realized we were on exactly the same wavelength. It was exactly at that moment of realization about Kristy that the three owls appeared! It was only later that I recognized the synchronous intensity of the moment when the owls appeared. It was over two years later when I called Kristen on the phone to ask if she remembered what we were talking about when the first swooped above us. I was shocked at the intensity of what she just shared. Whatever is going on, that one detail adds a depth to the overall experience that tips it into the realm of the transcendent. Back to that night in the mountains with Kristen. The next morning we hiked along a series of beautiful trails taking a different route back to the car. We were marveling about what had happened the night before. In the final mile of the hike we met an old girlfriend of mine on the trial. I’ll call her Carol (a pseudonym) and she was with her young daughter and son. She was now married and there had been and awkward tension between us in this small town. I picked up her little boy and carried him while Kristen walked a little bit ahead of us with her daughter. That morning Carol and I had the conversation I had been waiting over four years to have. It was calm and hugely reassuring. A short time Kristen and I said good by to Carol and her kids in the dusty parking lot. After we parted Kristen excitedly told me that the talking with the little girl was the most important thing that has ever happened in her life. I could quite grasp what she was saying but there was something about the little girl that reminded Kristen of herself when she was that age. I should add that four years later in 2010 I had another chance meeting with Carol and a close up sighting of an owl in full daylight. This experience was all intertwined within a web of synchronicities. Okay, there’s more. Less than a week later Kristen and I went out camping again. We were in a completely different area of the mountains. Once again, it was just a single night of camping. In the evening just as the sun was setting we both felt a little bit cold. I suggested we walk up to a nearby hilltop to see the view. This would warm us up a little before going to sleep. We did the short hike (maybe five minutes) up to the gentle rounded hill top. Within seconds of getting to the top we had the exact same experience. Three owls appeared and flew around us! They swooped close, landed on nearby branches and actually stood on the ground within a few yards of where we stood. The whole thing lasted about a half an hour and Kristen and I just stood there the whole time in in a tingly state of astonishment. I am pretty sure these were Barred Owls, a common species in these mountains. Now this may seem funny, but I’m pretty sure it was the same three owls. Just like before, the experience was absolutely magical! 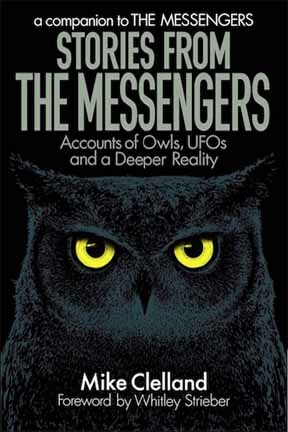 After all my years of compulsively reading UFO literature I was keenly aware of the reoccurrence of owls as a screen memory within the experiences reported by abductees. I was aware that this might be a possibility. Right in the moment I was super focused on these three owls as they swooped low over us, watched us from trees and landed on the ground right near us. I feel confident in declaring, those were real owls. Seeing three owls once was pretty neat, but having the same experience just a few days later was positively bizarre. In the days after this second event both Kristy and I were searching the internet for stuff on spirit animals and mystical insights surrounding owls. The results were curious. Two things kept coming up, one was that this is a sign to face your fears and Kristy seemed to feel that was a really important thing for her in her life. The other was that owls are a sign to be patient, and this was important for me, mostly because Kristy was so hauntingly desirable on so many levels. She was young, smart and perfectly lovely. I was completely smitten by her. I’m 18 years older than her and that age difference created a lot of weirdness, but at the same time we were seeing each other almost every day, and we were constantly e-mailing and phoning. There was some sort of deep connection, and our time together was a swirling cloud of weird synchronicities. Kristy calls me a "kindred spirit" and that feels like an understatement. The intensity of the owl experiences created a weird urgency and a hungry emotion in me. It felt like I was getting swallowed up in a kind of fanatical madness, and boy did that make things awkward. So, patience was the perfect message from the great beyond. The grays come in threes. The often appear as owls. Contrary to popular belief, they are profoundly surrendered to God. We find this frightening, because we are not. An experience like that is mostly outside of space and time. You need not look back on it. It is always happening for you both and all who know of it, forever. So, thank you! I was kind of shocked to see his comment at a point when pretty much nobody could have known about my blog, it seems that my friend Mac Tonnies had send him a twitter link to the story. His references to God came before I realized that Kristen had been talking about God at the moment of our initial sighting. I am all about the divine aspect of this whole thing. Obviously. I like that he [Strieber] said that, about being connected to God. Because that night I saw the owls and whenever I dream of them, that is the benevolent sort of "spirit guide" feeling I get. Not that they are otherworldly, but that they are in-worldly. Because there's no way that I could explain any of this outside of the context of God. And, you know, not "God" in the "because the Bible tells me so" sense, but God in the real, eternal, "I know this much is true" sense. And by God I mean the all-that-is. Kristy comments about owls, Whitley - and God! Over the last few years I have been seeing a LOT of owls, and I've been documenting more owl sightings in this blog. I know a lot of people who spend plenty of time outdoors, and I make it a point to ask if they have any similar owl experiences. So far, I haven't found anyone with any kind of similar experiences - except for Stacey (with an E). If anyone out there has had any similar experiences PLEASE contact me, I would deeply appreciate hearing from you. My contact info is easy to find on this blog. Thank you! 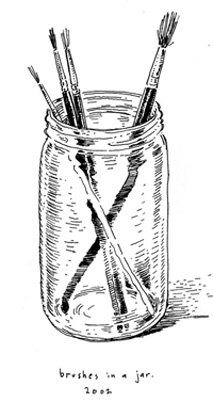 I just went thru and cleaned up this short essay. I revised it for clarity and grammar. It is essentially the same as it's 2009 incarnation. I added a few more details that seem relevant. I cleaned it up because I plan on using it for a longer format essay on owls. This essay was originally posted in 2009 at 9:34 AM on March 4th. So, the date is '09/3/4 and that's the same set of numbers as the time, 9:34. 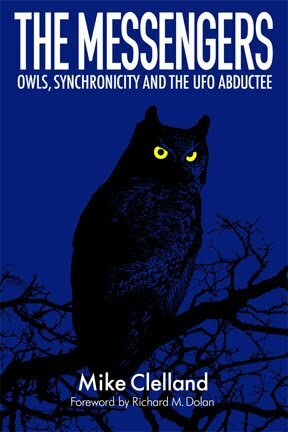 There is now a long format essay posted titled Owls and the UFO Abductee. In this essay I re-tell the events involving me and Kristen. I expand and explore the implications. Highly recommended. What a wonderful and inspiring story, Mike. Thank you for sharing it with us. Wow, what a story. Interesting. The owls are not what they seem. My log has some things to tell you about this. Won't you ask it? During a recent on-line chat-format, Whitley Strieber commented that The Grays will use owls, they can see though their eyes. This is such an unsettling thing to contemplate. These owls were looking at us (me and Kristy) but somehow "alien" entities we seeing us through those great big eyes. Is this true? I have no idea - but I must say - I really like the concept. I LOVE this whole story. Thanks for posting. A beautiful story, thank you for sharing it. Magical and important. The owl has always been my totem and spiritual guide. I just came across this link on Whitley's Facebook page. Yikes! I had an experience several nights in a row in my yard. There were three of us and there were three owls. There was something about it on those nights because they were all so close and didn't mind us looking at them. We were all just mesmerized by them and thrilled to witness their presence. I never knew about the owls and the grays. Wow! I just wrote my first blog entry and it is about my relationship with a magnificent old oak tree in that same yard. Linked here from Secret Sun. Reading about owls and synchronicity, while on my wall is a painting of three owls I bought at the Peyote Way Church in Arizona. I like Whitley's take on your experience. Hi Mike, Just read your blog on owls. Last year (2009), around April/May I returned home one night (arout 9/10 pm), stopped my car at my gate and spotted an owl sitting on the fence just inside the gate. We stared at each other for a few seconds (his eyes were golden and seemed to be glowing), then he flew away. A few nights ago, about 9/10 pm (one year later in May 2010), I returned home at night, stopped at my gate and saw a similar looking owl perched in the same spot as the one I had seen last year. I did not see golden eyes this time. We looked at each other for a few seconds and he flew off. Later that nite, I had just fallen asleep in my bed when I woke up in a terrified state and "knew" something was in the room with me. Being a paranormal investigator, my first response was to tell "it" to go away. The room immediately felt lighter. I fell asleep again, and was awaken again a short time later and sensed something was in the room, but was not scared that time. I told "it" to go away and that I was tired. Whatever "it" was must have stopped bothering me because I fell asleep again and slept the rest of the nite/morning. These 2 events occurred about 3:30 a.m. Just wanted to share this because I thought it was odd. Well, I have HEARD invisible owls around me. Now I live in a skyskraper and just recently when I was blogging about UFOs I heard an owl in my apartment! I am a contactee and have had many encounters with Grays and other Extraterrestrial Entities. I am a Professional Psychic/Medium/Medical Intuitive/Healer and EMPATH...this is why "they" say they have interest in me. It is a DNA thing for them they are interested in certain folks because of their level of conscious awareness and emotional depth and those that have multidimensional bleedthrough tendencies...some of us are able to access the ether/mind/psi and interact with them regularly....:) Blessings to Michael and Kristen, bless your journeys! Wow, just wanted to say that I am noticing a lot of owls presented (rather discreetly) in shops. I live in Battersea, London and when in Clapham Junction train station shopping arcade earlier today, saw at least 3 shops with owls in them. These days it's usually Skull symbolism. I love owls, but like Chris Knowles, I do find them a bit weird and their use in shops etc creepy. PS. the 'owl of Minerva flies only at night'. Owls are a powerful symbol in the animal guide world. Many North American Native cultures are downright afraid of owl because of a connection the owl has to the dead. Dead relatives, ancestors or a symbol of death coming to your doorstep. Perhaps, but what is death when you see owl? It means a change is coming to you. A part of your life will die so that you may release it. So focus on what it is that you would like to change when you see owl. What part should die? What part of you do you need to bury and be done with so you may move on? Do not fight or be afraid of this change for it is the natural order of thing. Thank owl for his clarity when you see him and prepare for change. In the Medicine Cards, Owl represents the Medicine of 'Seeing through Deception'. Wouldn't that be a fine thing. A mated pair of great horned owls outside my window, been here about a week + . In the monument valley park ,old northside, colorado springs. I've had many owl encounters over the last 15 or so years and some are fairly ordinary and some not so much so. The more ordinary ones involve seeing owls in trees and on wires at various distances. The more interesting sitings were owls swooping over my car at right angles more than once at the same place on a highway, flying alongside my car at window height on the freeway for some distance including under overpasses, screeching from a neighbors rooftop outside my window and on other occasions clamboring on my roof. Those encounters may be understandable as I live in a semi-rural area, but taken with some other occurrences could be screens for other entities. The most meaningful encounter was about a year ago when I felt compelled to connect with nature late one night and walked to a vantage overlooking the sea. I was struggling with the language to address the divine with which I felt in communion and dropped all the unecessary verbage and simply thought, "Divine, welcome" feeling that this expressed the Divine in me was welcoming the Divine in nature. As soon as I said silently, a brown owl flew to a spot directly over my head, just a few feet above me and made a graceful, silent 180 degree turn in one place and flew back over my house. I knew that was an expression of the Divine greeting me. A very special moment. My mother has an interesting owl story from a time when she was a young girl living in rural Oklahoma. This would have been in the early 50's. She stated that the family came home from a trip into town to find 7-9 owls perched atop the roof of their home. I would never have linked this in any way to an "otherworldly experience" had I not read about other peoples' owl stories in this context. Mom also reported seeing three "beings" that resembled greys, dressed in cloaks, passing by her bed and out through the corner of the room around this same time. They made an appearance in her room several times according to her recollection. Makes me wonder. I found your owl experience very uplifting to me and will tell you about a few of mine . Living in Price , UT around 1975 I had an owl perch itself on my porch railing . This owl was there for about 1 week . My mother would tell me that after I left for work , it would leave but when I would arrive home , this owl would come back and perch itself again on our railing and stayed there till I left for work the next day . Another time while out hiking I had a very large owl dive bomb me almost hitting me . After lying there a while I got up and hiked on , only to have it happen again . In the fall of 2011 , I bought a house in East Carbon , UT and there is a very large owl always around , sometimes on my porch and sometimes in my garage perched on the side of my pickup . I have a good photo of him with one big red eye looking right at me . A few monthes ago I had a strange dream about a 3 foot tall owl standing in my driveway with very large red eyes with enlongated black pupils . I was standing there watching this owl watching me . I need to tell you that I have been having abductions happen to me all my life ever since I could remember . My story is in Tracie Austin-Peters new book . My remembered encounters have always involved Deer and not sure about the owl's . I hope to see you in Feb at the UFO conference in Arizona. 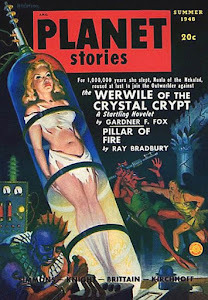 One of my FB friends, Betsey Lewis is a radio show host and after she read my blog post, she suggested that it might be an indication that I am having alien contact...especially given the electrical occurrences I spoke about. She herself has had alien encounters all her life. You can find her at blogtalkradio under Rainbow Vision. It was the first time that I heard that seeing owls were associated with aliens. After recently coming to the realization that I am likely a Starseed, I am more open to the idea that I am having contact with beings without having a memory of it. The only real "out in the wild" experience I had with an owl was way back in my early 20s. I was driving down the road and there was this HUGE owl just sitting to the right of the road. I kept expecting it to fly off as my car got closer, but it never did. It was remarkable and remember telling people about what I saw. I got the usual "owls are bad omens" but didn't sense that to be true for myself. I will add that I am currently at a nexus point in my life where things are changing rapidly. I am no longer trying to block communication with the other side. I am no longer trying to block visions of the future. I am no longer fearful of the metaphysical world like I used to be. I now embrace the metaphysical world with open arms and breathe it into every cell of my being. Owls were and remain central to certain aspects of the belief system I was introduced to in my youth and keep to this very day. My father was particularly fond of the owls that roosted in our barn. When very small, I was afraid of these animals, but he and my grandfather both always reassured us that the Owls come to watch over those who are dedicated to the true path. This is known to some of us as simply, "the Way". Please forgive me if my interpretations are not in line with your expectations, but it has always been my understanding that the Owl is sacred to Athena. She is not just the ancient goddess; she has been adopted and transformed many times by many peoples to support the causes of justice, liberty and the civilized arts - including the pious search for wisdom and enlightenment. The presence of an Owl spirit in a person's life is a calling to these higher duties. In more direct terms, Athena is watching over you, favoring your enterprises. This is not to say that the old Gods are truly divinities. They are more on the order of discarnate intelligences that frequent our world. I believe they are not bound to the Earth, but rather come and go. They are created beings within the boundaries of creation, and not synonymous with the Creator Itself, which is another matter entirely. The Way flows from the Creator and can be accessed by means of the Secret Language - messages present in all things. In essence, Athena and any other such discarnate beings are akin to angels; they provide aid, direction and comfort to those who endure spiritual quests and trials. Perseus and Odysseus are but two examples. Enough of preaching. I greatly enjoy your website and will be adding it to my favorites. Please feel free to visit my own site and to examine some of the writings there pertaining to these and related matters. If you are interested in further correspondence, I am certainly open to that as well. When I was 8 I had a bad dream where I learned that, as a toddler I had done something to 'upset' an owl and as a result this owl would pursue me and be a hidden presence throughout my life. I awoke with a fear and dread of owls. Years later in my early 20's I saw a poster for the book 'Communion' and experienced an inexplicable feeling of profound shock at the image of the 'grey'. I bought the book and as a read it, I had an uneasy feeling that in doing so I was allowing myself to be'connected' to them, I was enabling a link to be established. I also noted how the greys used owls as a screen memory and reconsidered my life long dread of owls. Skip to 1993, when I was 27, I had a powerful nightmare which woke me up. As I sat up in bed, I saw 3 greys in sort of dark boiler suit style uniforms. I was so amazed that I actually said aloud, 'they're here??!!' at which point on of them lifted its arm and created a sensation within my head that made me loose consciousness. When I awoke, it would be 2 years before I could spend a night on my own. I'm now in my late 40's and for the last couple of years in meditations and in quieter moments, I have been aware of a presence that chooses to present itself as a friendly female in Classical dress. It chooses to call itself Minerva. Its only recently that the link between the Goddess Minerva and the owl occurred to me! I have a story, but its not about owls...I was asleep when I suddenly woke up to bright flash. I looked at the clock and it was 3:10am. I looked at my window, watching for another flash, but nothing. I decided to get up and go outside. As soon as I closed the door behind me I saw to the left of me, standing in the yard three skinny shapes. Silhouettes really, of what I immediately recognized as grey aliens. I was shocked and gasped quietly. Just as I recognized them, they changed into three deer! Now these deer did not act normal. They seemed to be stuck together as they shuffled sideways away. They went around the corner of he house and I couldn't see them anymore. I know this experience is different than the ones posted but it has animals in common. Besides that, ireally need to tell someone about this. 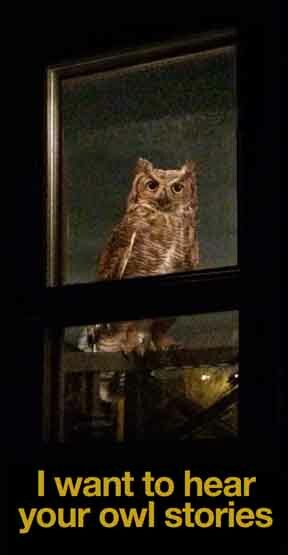 I was in bed, reading when i heard a loud hooting..very loud and very close. I got up, took a big mag-light and went outside to see if I could see it.. I left my little terrier inside,I didnt want him to b3e a late night snack....he seemed to want to bolt outside. it seemed to bend over push out its feathers in a fan and hoot. Okay. This is crazy. 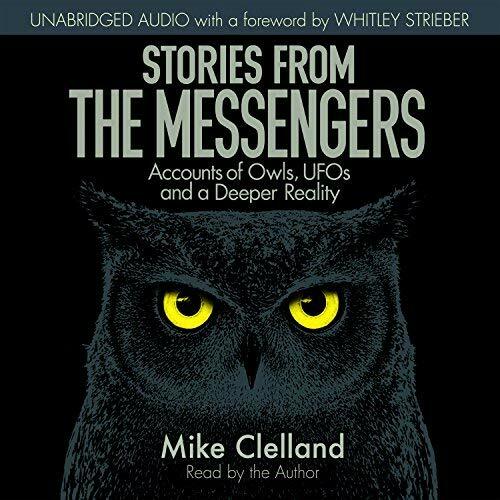 Before today, I'd never heard of you Mike or your Alien/Owl/Synchronicity experiences. I was listening to an interview on Radio Mysterioso with Greg Bishop (9/22/13). Good interview by the way... What intrigued/disturbed me is the fact that I've had a lifelong fascination/obsession with owls! It sounds crazy but I have always felt deeply connected to these nocturnal predators somehow. I have a collection that exceeds 300 owl art pieces and of course every birthday and Christmas heralds even more! I don't have any recollections of alien encounters but I have seen UFOs 3 times in my life. Two separate incidents in 2012. I hope this owl fixation doesn't mean I'm "marked" (lol). Here's the kicker: Listened to the show while showering, getting dressed and driving to my new gastroenterologist (lucky me!). I even sat in my car waiting for the show to finish. Filled out six inches of forms, handed over my insurance card and by the time I was seated on the examining table waiting to meet my new doc, I had put the show out of my mind. That is until I began scanning the exam room and discovered a shelf hung fairly high on the wall that contained three objects: a plastic model of a stomach, a plastic model of a colon and a 5" x 7" un-framed canvas on which was painted a simple black and white rendition of an owl. Asserted! I guess I'm in the game. Great blog. Hi, I have just found your site as I am researching around.... my little boy is 3 years old and has a "thing" about owls. He was okay with them at first but we have noticed that he finds them frightening now - he talks about them, particularly not to "wake them up". There has been a couple of occasions when he hasn't wanted to go to bed because of the owls. We live in a rural area and have heard owls hooting occasionally. We have had owls swooping past the car on occasions. I am not sure what I believe but am finding it a little unnerving, any advice or comments would be helpful. I've had a series of owl synchronicities that I'd like to share with you. I've tried emailing my story to you, via the hidden experience blog page, unsuccessfully. I've checked and double checked that I've entered your address correctly but it keeps failing. Is there another way to send it to you? I have never heard of the connection between owls and aliens before now. It hit me like a thunderbolt! When I was a child I would occasionally see owls looking in my window at me. There would be three of them. This would happen when it was late and the whole house was quiet. It was as though they were trying to make eye contact with me. Hiding under the covers I would peek out to see them still there. Eventually I would fall asleep and have the same dream. Walking along a road in the country beside some town I would feel something near me. I'd look up to see an enormous ship hovering silently over the town. It was many miles long. As I tried to leave the area there were three owls standing on the road blocking my way. Then I would awaken to find the owls already gone. Have you heard similar stories? John, this is very common, the details you explained. If you want to ask any questions, you can email me. The contact info is easy to find on this site.